Donald Trump’s decision to ring in the New Year by simultaneously demonizing both Iran and Pakistan on Twitter has already backfired tremendously. Following threats that the U.S. would withhold aid to Pakistan, the U.S. confirmed it would withhold $255 million in aid (which has now become $900 million) and is now reportedly threatening a roughly $2 billion more, as well. “We’re hoping that Pakistan will see this as an incentive, not a punishment,” a State Department official told reporters. According to the Wall Street Journal, this recent animosity towards Pakistan has not gone over well. Pakistani Foreign Minister Khawaja Muhammad Asif said in an interview that the U.S. has failed to behave as an ally, and as a result, Pakistan no longer views it as one. If anything, Washington’s recent behavior has only pushed Pakistan into the open arms of America’s traditional rivals, China and Iran. China has long been providing financial and economic assistance of its own to Pakistan with plans to expand an economic partnership in the years to come. China has already pledged to invest $57 billion in Pakistani infrastructure as part of the so-called “Belt and Road” initiative. Just last month, Pakistan announced it was considering a proposal to replace the U.S. dollar with the Chinese yuan for bilateral trade between Pakistan and China. Following the Trump administration’s recent attacks on Pakistan, Pakistan confirmed that dropping the dollar was no arbitrary threat and immediately replaced the dollar with the Chinese yuan. “Chinese investment in Pakistan is expected to reach over $46 billion by 2030 with the creation of a [China-Pakistan Economic Corridor] connecting Balochistan’s Gwadar Port on the Arabian Sea with Kashgar, in Western China,” Harrison Akins, a researcher at the Howard Baker Center who focuses on Pakistan and China, told Newsweek. In the middle of last year, it was reported that China was considering establishing its own naval bases in Pakistan. These reports began to immediately resurface again in the past week, though Pakistan has vehemently denied that any such naval base will be built (even though Chinese military officials were the ones to expose the plan to build a naval base at Gwadar Port, in Balochistan). Whether or not the reports are true, what is becoming apparent is that Pakistan will look to cooperate with China both economically and militarily while giving up its reliance on Washington. 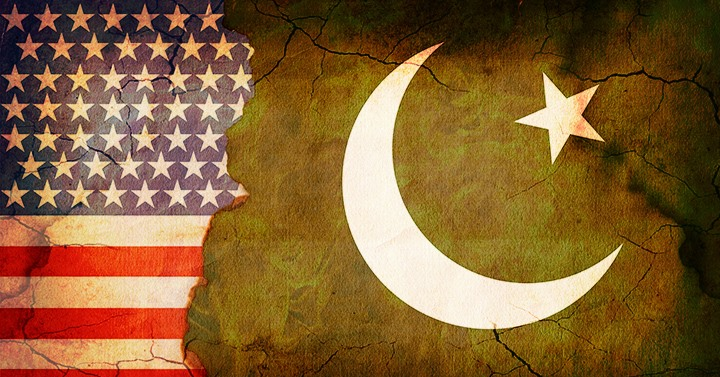 “The history of Pakistan’s relationships with China and the United States also shows that Pakistan’s policy does not respond to strong-handedness, but to loyalty, and to being treated with dignity,” Madiha Afzal, a nonresident fellow at Brookings, said as reported by CNBC. Further, according to the Times of Islamabad, Iranian and Pakistani defense ministers have held talks on Washington’s role in the region and have indicated a growing defense cooperation strategy between Tehran and Islamabad. Even before Donald Trump’s decision to unilaterally try to isolate the two countries, the expanding relationship was already well underway – most likely the more truthful reason the Trump administration has targeted both of them. Much to Washington’s dismay, this is only the beginning of the end of America’s role as an unchallenged global superpower. The Asia Times reports that Iran, China, and Pakistan are set to launch a “trilateral nexus” that would support economic development for as many as 3 billion people. The biggest obstacle to implementing such an economically viable nexus would actually lie in the growing economic power India, not the United States, which seems to be able to do little but taunt, threaten, and bully the ever-growing list of defiant states. Without hesitation, Turkey, another country that is forging stronger ties with Russia, China, and Iran, also came to Iran and Pakistan’s aid. Turkey is a NATO ally. “We cannot accept that some countries — foremost the US, Israel — to interfere in the internal affairs of Iran and Pakistan,” Turkish President Recep Tayyip Erdogan told reporters before heading on a scheduled trip to France. Turkey and Iran also famously came to the aid of Qatar last year, further complicating the restructuring of traditional Washington-led alliances. At this stage, both Turkey and Iran could end up joining the Chinese and Russian-led military alliance known as the Shanghai bloc, with Iran recently strengthening its military ties with China. Given China has both economic and military interests worth protecting in Pakistan, this Eastern alliance is spreading ever further by the day to the detriment of Washington. It’s no wonder the European Union is practically building its own army given the number of countries that feel safe to rely on the United States’ so-called global leadership under Donald Trump are growing smaller by the day. And given the serious implications of Pakistan’s shift into China’s sphere of influence, it’s curious this story isn’t making the headlines.